Phil W. O'Hare (CP) - Upgraded from CoPilot on 2Lt Kenneth A. Hoeg Crew to Pilot on 29 March 1944 after flying as CoPilot with Lt Hoeg on 16 missions and with several other pilots on seven missions. First mission as Pilot on 19 April 1944. Flew 13 missions as Pilot. Completed combat tour on 24 May 1944. Ernest L. Cronin (B/N) - Flew with several other Pilots when the Lt Hoeg crew broke up. 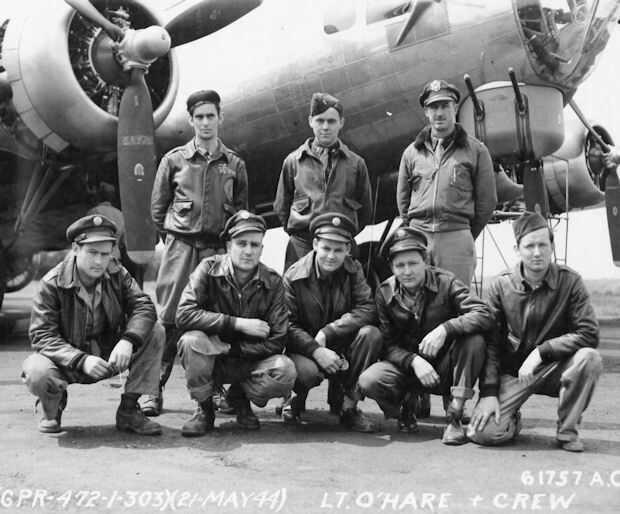 Became Lt Phil W. O'Hare's Bombardier when Lt O'Hare was upgraded from CoPilot to Pilot. Flew last mission on 15 May 1944.